Herbal infusions have been creating a comeback because people feel the need to go all natural. We all know how herbs can provide large quantities of vitamins, minerals, and other essential fatty acids. Some even contain anti-cancer phytochemicals, antioxidants, blood sugar stabilizers, and immune system boosters. However, it depends on what herbs you use. But the great thing about herbal infusions is that it’s less expensive and safer! 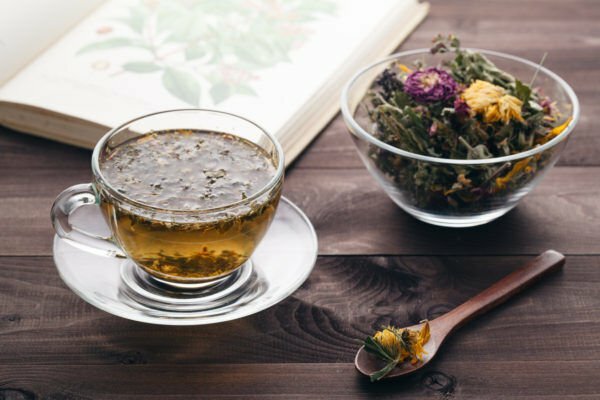 Medical practitioners often argue that these infusions can have a powerful impact on improving our health and it doesn’t even interfere with any of your existing medications. Alfalfa – Loaded with vitamins A, D, E and K, as well as digestive enzymes and trace minerals. Ginger Root – The immune building, digestive aid, warming and reduces inflammation. Raspberry Leaf – Supports the uterus, is high in magnesium and potassium and increases fertility. Oat Straw – Nourishes the nervous system, restores calm and balance when stressed. Dandelion Leaf – Supports kidney health, strengthens the immune system, balances blood sugar. Nettle – Provides energy, has adrenal restorative effects, a hormonal normalizer, prevents osteoporosis, vein, and circulatory tonic, and aids in digestion. Comfrey – Strengthens and heals bones, tendons, and ligaments, repairs inflamed tissues in the digestive system, skin, and memory. Mullein – Aids in coughing, congestion and has anti-inflammatory and anti-spasmodic effects. You might be wondering, what’s the difference between tea and herbal infusions? Herbal infusions are steeped longer and use a larger amount of herbs. It is very much like tea, but it’s more potent because it took longer to steep. 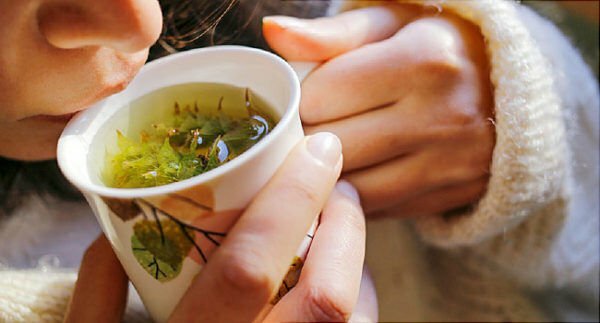 Basically, a cup of nettle tea has 5-10mg of calcium, while a cup of nettle infusion can contain up to 500mg of calcium. Some people drink both tea and infusions on a regular basis in order to reap the health benefits. 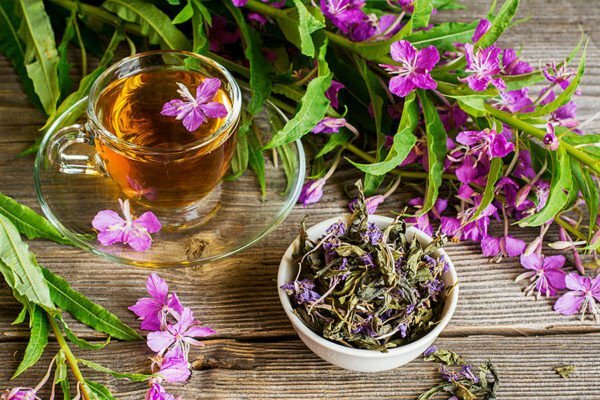 Some would drink tea on a daily basis and make herbal infusions occasionally especially on days wherein they want to target a specific illness. Personally, I treat infusions just like a vitamin supplement. I drink them as a way to supply my body with vitamins and minerals that I may lack. If by any chance that I feel like I’m going down with the flu or any other illness, I drink at least one cup of infusion a day. However, if you are experiencing any symptoms or illnesses, it’s still better to consult your physician first. Take one ounce of chosen dried herb. You can put 1/8 to 1/4 of a jar. It can be less for finely ground herbs, less for heavier herbs that are in a form of roots, more for fluffy herbs. Place in a canning jar. Cover completely with boiling water and stir. Place lid on and let sit for 4 to 8 hours for leaves or flowers and 8 hours for roots. Most people make their infusions in the evening and then strain them in the morning. When you’re done brewing, strain and refrigerate. Note: Infusion can be kept for 48 hours in the refrigerator. Proteins will start to break down after that and it will taste off. It can also be reheated but not to a boil. It can be iced, sweetened, or added with salt. I know that herbal infusions are good for your health but I seriously can’t handle the taste! Herbal infusions are a miracle drink for me. With simple cough and colds, it can actually be soothing. What I also love about it is that I don’t have to damage my liver by drinking so many medicines. As soon as I feel a flu or cough starting, I load up on my herbal infusions already. This is why natural remedies are better. Our liver will thank us! You can actually put milk in your infusions if you want to make it taste a bit like chai tea. You can also add cinnamon for a better taste. Thanks for sharing this. I’ve been looking for something natural to replace my vitamin supplements. I love herbal medicines. They work wonders for your body and it also has very little to no side effects compared to OTC medications. The only thing that I don’t like about herbal infusions is that it doesn’t last long. 48hours isn’t enough for me. I make sure I only brew what I can drink so I that I don’t end up wasting herbs. I tried this before and it tastes really disgusting. However, my friend told me that I shouldn’t be scared in adding sweeteners (but not too much). Steeping it overnight would probably make it really bitter. However, it’s for medicinal purposes so you can’t really do much about the taste. Depending on the herb, I experiment on the steeping time. I don’t just leave the herbs overnight because the taste becomes too off and it’s unbearable to drink. Some herbs require only a few hours of steeping and you get enough nutrients from it already. You’re right. I don’t like that it tastes too “herbal”. I have a herbal garden because I love herbal infusions. When you’re feeling low on energy or you’re about to get sick, I find that herbal infusions can really help boost your immune system. I’ve avoided tons of colds thanks to my infusions. Glad to know that it’s working great for you, Jaime! Isn’t it amazing that we don’t always have to rely on medicines? My grandmother actually relies on herbal infusions to stay healthy. She’s in her 70’s but she’s still strong. She even convinced me to do brew and so far, it’s working well for me. I also don’t see any harm in doing this since it’s just medicinal plants! People, medicines exist. Why bother??? This is safer compared to over the counter medicines. There are people out there who would rather go for something that doesn’t have any additives– just overall safer. I can’t wait to try this. I have a really bad immune system and vitamins don’t really help me that much. I wanna try and see if this works. Interesting. I was planning to have a herb garden at home because I love gardening and it would be great to grow my own herbs. I currently have ones that are used for cooking but I haven’t tried growing medicinal plants. Thanks for suggesting this. If this really works, I’m never buying cold medicine. Even supplements are medicines nowadays aren’t even safe. They put additives that can be toxic. Not only that, it can also damage our liver in the long run. It would be better if most of us would switch to something natural like this. Exactly why we need something like this. The only problem is the accessibility of buying these plants. That’s how it was for me. You just get used to it! Would love to try this once I get my hands on some herbs. It’s just disappointing that it can only last up to 48 hours after brewing. Is there a way to preserve this? Just making an herbal infusion for the next few days. Nettle, dandelion, rosemary, and coriander. When I was pregnant and anemic, I made a tincture using all iron rich plants. There is something growing in nature for every ailment known to humans!! I was wondering how to get more minerals in my life and was happy to see that I already had 4 of these herbs!! I just planted a few herbs outside and I’ve been loving gardening. I’m so excited to use some of them in my tea. Good information thank you so much!! I mix my own herbs with green tea. For winter my basic herb is nettle which is dry and warm and for summer alfalfa which is moist and cool. This summer I am going to start small and grow a few herbs. I love ginger root and nettle. I loved this article and it inspired me to start gardening!! Wait so when you dry it outside like that wouldn’t it get dusty? How do you clean them before consuming in tea?? I just got some fresh herb plants that are in my window. I have thyme, basil, and rosemary and I have no idea what to do with them. I loved the idea of herbal tea infusions. I am a habitual tea drinker and it just gave me so much inspiration. I used to go to the woods in Switzerland, in the mountains and collect my own nettle, dry it in the dehydrator and make teas. Love nettles!! Also super good in soups. Amazing! It would be great if we had most of these herbs just right in our backyard. Absolutely love herbal tea infusions!! Thanks for sharing such a great article. They’re amazing and relaxing as always. Love this article!! Just bought my first herbs to do my first herbal infusion! Thank you so much for sharing this earth wisdom. I have just harvested a lot of herbs and dried it. I will try this out this evening. Thank you for making these articles! I tried it the last weeks, and omg! I sleep so well! my skin is better than ever and I have sooo much energy. I thank you so much for opening this world to me. I’m currently using a raspberry, apple, hibiscus mix but planing on trying nettle soon. Is it okay to steep it in the fridge so it’s cold in the morning or does it do better at room temp? I love drinking my infusions with a splash of lemon juice in the morning. Soooo refreshing! Thank you for a wonderful, informative article! I am impressed with your knowledge of herbs, and the presentation you have shared! I am very interested in learning how to process the herbs that I grow! This is opening up a new avenue to pursue nature’s secrets of medicinal remedies. thank you! Fabulous!! When I was pregnant and anemic..I made a tincture using all iron rich plants…so bitter!! There is something growing in nature for every ailment known to humans!! Beautiful article:) Herbs are truly VITAL for our bodies, especially in our modern culture with all of the toxicity we live in. Going back to the ancient ways! I have just purchased herbs from a local Chinese herbalist. Hope I will be able to do the decoction correctly. For some reason, I’ve had a repetitive dream about the herbs for some time. Strange… But I hope they will help. Thank you for the wonderful article. I make cold infusions. I find that they last and store longer. I simply put the herbs in a mason jar, pour in water, and refrigerate until the next day. I strain as I use it. I find that using warm water and leaving the infusion on the counter all day causes the infusion to sour very quickly. Ooh brilliant, I’ve just dried a load of herbs that I grew for making teas with, really enjoyed reading this thank you! Just making a herb infusion for the next few days… nettle, dandelion, rosemary and corriander… Mmmmmm, these herbs an wonderful weeds are amazing. Great post, thank you. One of my brothers is really big on making his own teas and he made me a tea with chaga, dandelion and some other stuff and it was really good. I’m so excited to get paid so that I can buy herbs and start making infusions, especially as the weather transitions into winter. Are there any you recommend for allergies/sickness? Oh my god, making tea is a freaking science!! and I’m not even being sarcastic here; I just bought some tea yesterday and I realized I had no idea how to make it!! thanks for the tips. Do you use any type of sweetener for your infusions? if not is there anything you might recommend or just not a good idea at all? I normally add a little raw sugar in my tea because it’s too bitter for me without it. Don’t know if I will like herbal infusions. I’m not such a fan of bitter tasting things. I loved lemon verbena infused water though and when my aunt made fruit infusions once, I loved it as well. I met a lady who told me she made her own “vitamin” using herbs and a lot mentioned here is what she used. I never knew you could do that! So glad to see you had information on it. I drink Stinging Nettle infusions regularly because it works, but be aware this will detox your body (e.g. liver), so you may experience lower back aches etc when you first start drinking it. Yeah, I feel inspired to give this a go, brewed my raspberry leaf tea bags over night last night lol they have a really nice taste, didn’t expect it! What a wonderful idea! I love this. I’m getting more and more into the beauty of herbal medicine, and this would make life so much easier! I can mix certain things for specific uses. My mother used to cook nettle with corn flour and lots of garlic. My God it was tasty. I got the seeds and I will plant them in the correct part of the woods. The taste is a little too strong for me on certain herbs so I usually dilute it with more water. I know that doing so might lower the amount of vitamins and nutrients, but what I do is I drink it 2-3x a day instead just so I can bear the bitter taste. so, can I just go into my spice cabinet, take out my jar of dried parsley or sage or oregano or what have you, and make tea out of that? I’ve really wanted to make a parsley tea in particular. So can I just use the regular dried herb I use for cooking? I was told that mullein leaf is really good for the lungs, could you please give me you your recommendation on at least 1-3 herbs that work great for the lungs? This was wonderful thank you! Question: Can you use fresh herbs just picked to make tea or is it better to dry them out first? Good info, thanks so much. I mix my own herbs with green tea also. For winter my basic herb is nettle which is dry and warm and for summer alfalfa which is moist and cooling. Are there any other herbs you would recommend? Looking online but keep finding the same three or four herbs and it would be nice to be able to mix it up 🙂 Thanks for making the article! Thank you for another informative and inspirational article. This is exactly what I have been looking for. Thank you for your sources. I can’t wait to try. I think this article was laid out so well and very inspiring. You got me into doing it a while ago but then I forgot about it so now I am going to do it again. One more question! Can you reuse the same cup of herbs more than once? Or has all the nutrients and minerals been extracted the first time? I was wondering how to get more minerals in my life, and was happy to see that I already had 4 of these herbs! Thanks so much for sharing your knowledge! What if you’re mixing flowery herbs and bark herbs in the same tea? How long should that brew? Does anyone know if it would be beneficial to use ionized water in order to get maximum render from you’re infusion regimen? Do I have to drain it ? I hear you have to wait a couple of hours before straining it. Is it true? So helpful 🙂 thank you, but I have a quick question about re heating? do you drink it cold or put it in the fridge if your storing for tomorrow? I highly suggest that you plant your own herbs. Hve about 3 pots minimum for each and it can really be helpful to just have one in your backyard when you need it. You can also infuse herbs in other liquids. For cooking, you can infuse it in oils or vinegar. Olive oil is the best and apple cider vinegar. No wonder you look so radiant! Drinking my red raspberry and oatstraw infusion now ❤️ thanks for sharing . Sounds so delicious and nourishing! Do you notice any difference from letting them infuse inside the house vs outside? I love doing this! Another way I do it is in the sun. My family loves nettle sun tea! This is amazing! I am amazed how you come up with such beautiful ideas! I had no idea. I thought infusions were just another word for tea. Thanks for educating me! Curious on what temperature is ideal for steeping to minimize tannins and maximize benefits. Do you put about a cup of each? or half a cup of each herb? How much water for that ratio? Thank you . Is there an optimal time for drinking them? Or do you just drink it when you are thirsty, lets say instead of water. years ago I underwent 5 surgeries in a really short time frame..afterwards my hair started falling out and my nails started peeling away.. I started drinking nettle tea and within 3 weeks my hair started growing back ..it is amazing stuff. This Is SO helpful! Thank You so much sister for sharing . This is going to be a life changer. So Grateful. What are some clever ways in which you have used the herbs after having created the infusion? Now if i could keep the farmers from spraying all the nettles into extinction around here. .. I usually switch from herbal infusions to tea, depending on what I feel like drinking. My friends think it’s weird that I have jars with herbs in them. They think I’m into witchcraft or something.